Thank you so much for taking time to read more about me! I honestly feel that clients who truly research their counselor end up finding a better and healthier match. I want to welcome you to contact me (336) 397-4960 for a FREE 30-minute consultation. Jeffrey Shaw, CRC, LPC-A, LCAS-A received his undergraduate degree in Psychology from Winston Salem State University in 2000 and his Master’s in Rehabilitation Counseling in 2013. Jeff is a Licensed Professional Counselor Associate, Licensed Clinical Addiction Specialist Associate, and a Certified Rehabilitation Counselor. 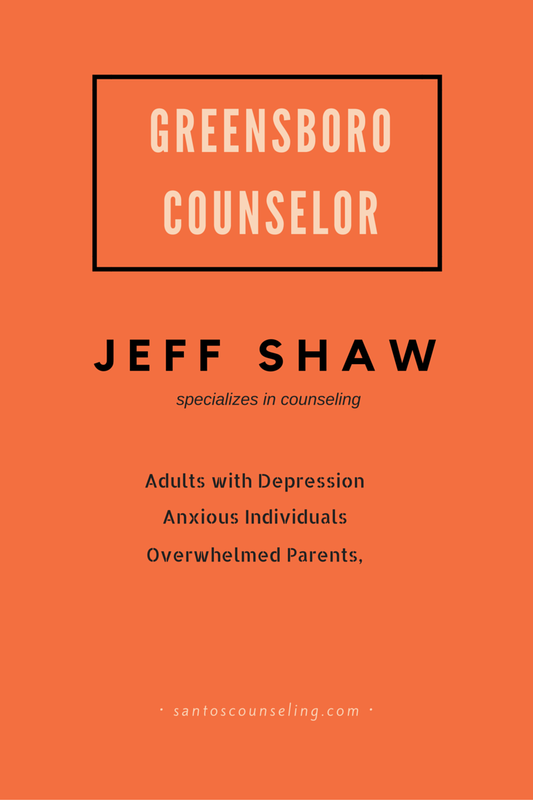 Mr. Shaw joined the Greensboro Counseling office in 2016. He has previously served at a Quality Director at a substance abuse treatment facility and is the owner of Life Strategies and Interventions. He provides psychotherapy services for couples, families and individuals by helping these individuals dealing with grief, trauma, anxiety, communication issues, co-dependency and anger issues. Jeff also provides Clinical Comprehensive Assessments, Group therapy, EAP Assistance, and Critical Incident Stress Debriefing. In Therapy, Jeff uses a holistic, person centered approach to assist his clients with the life issues they may be facing. During treatment, he carefully monitors clients’ status and adjust treatment to make sure they are making real progress in ways that fundamentally change for the better. He has a substantial professional background in addressing relationship challenges, stress, behavior modification, and depression with adolescence, adults, children, and older adults. Jeff is fully capable of understanding and handling substance abuse and addiction issues. Mr. Shaw provides therapeutic sessions that are culturally sensitive with specialties aimed at African American men and women, Interracial Couples seeking Marriage Counseling, and guiding African American youth in a positive direction. Aside from Working in psychotherapy, Jeff’s diverse professional experience also includes work in the areas of Vocational Rehabilitation, Life Coaching, and mentoring. Jeff is a Native of Raeford, NC but lives in Winston Salem. When Jeff is not counseling, you could probably find him swinging clubs at one of the local golf courses, cheering on the Dallas Cowboys, or engaging in a competitive, but yet friendly game of chess with friends. He is also a Fire Engineer with the City of Winston Salem Fire Department. In addition to the treatment services above, Jeff provides on-going counseling group services. Please call (336) 397-4960 to inquire about the group counseling services. This group addresses behaviors and symptoms centered around depression, grief and loss, stress, burnout, anger and most mood disorders that affect life domains. Ideal for individuals experiencing difficulty on the job, their social lives, and in their relationships. Group members will learn applicable tools and techniques that can be implemented and goal driven. Certificates are provided to those needing completion of course for employment or EAP anger management. This group addresses addictive behavioral patterns in substances that include alcohol, prescription medication, steroids, and other mind altering substances. Groups will work to create interpersonal connections within group dynamics in order to build healthy long lasting behavioral patterns that fit individual life goals. Individuals seeking support with addressing challenges associated with areas that include congenital, learning and developmental disabilities. This group focuses heavily on identifying coping skills that will directly support individuals to make healthy adjustments in order to live their ideal lifestyle. I work with a wide range of emotional and behavioral issues by providing services for depression, grief counseling, parenting support, couples counseling and beyond. In a comfortable and supportive atmosphere, I offer a highly personalized approach tailored to each of my client’s individual needs to help attain the personal growth they’re striving for. Everyone’s needs and preferences are different. To accommodate busy lives, I am happy to offer daytime, evening and weekend services. I also offer variety in scheduling with the use of video therapy (such as Skype, FaceTime, and other real-time video communications). 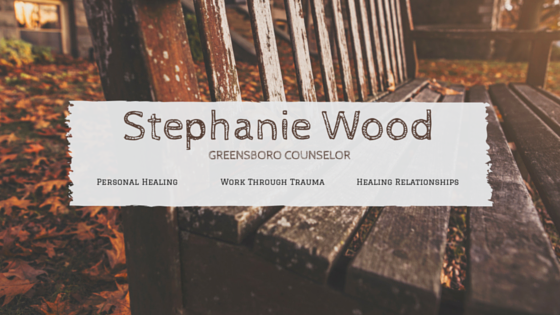 Stephanie specializes in healing relationships, overcoming traumas and supporting individuals with difficulties related to depressive disorders and emotional balance. Stephanie is a long time resident of Greensboro, NC.